It’s already one week into December. Most online stores recommend you get your orders by December 14 to get your order on time. So if you haven’t finished your shopping yet, I’m here to throw you a few ideas that I hope get this job done for you. Whether you’re the eco-minded minimalist or you’re shopping for one, I hope these ideas are comfortable for both sides. This list is specifically about gifting some thing that value-adds into the lives of people that want for nothing. Kindles are the best for minimalists, travellers or just frugal shoppers when you’re able to contain hundreds of books in something small enough to fit in a jacket pocket. They get eco points if you buy secondhand, but if you can’t afford to gift someone a Kindle or even better - they already have one - you can provide the eco option of gifting them virtual books. You can gift specific books, or gift a voucher to choose what they want. I love this present and find it a real value-add into my life with zero waste. If you’re going to buy socks and jocks, do it mindfully. This doesn’t have to be a boring gift when the product rocks. Just buy the best in the biz. In early 2017 Tim and I both prefer to only wear Boody socks and jocks, and Tim even wears Boody t-shirts. I also use the leggings and seamless bras. Because the bamboo rayon produced in a closed-loop factory while not 100% zero waste, organic or perfectly natural, is the most comfortable brand I’ve ever worn (with nobody even a close second), and goes above and beyond the sustainability of any of my previous underwear brands. Use code JACLYN15 for 15% off your order. Bokashi bins are small, self-contained, apartment-friendly composting systems. The reason I include this in the list is because it’s something a lot of people say they “should do”, but it takes a little effort or money to set it up, so we tend to avoid it. (Take it from me that received my own Bokashi as a gift.) If you order from Biome, the set comes with the starter mulch and instructions with everything you need to get going. Low waste or budget alternative: DIY your own composting system. You can add a CARE Australia greeting card to any gift. If you’re buying for a minimalist, this is a great way to avoid getting them something they don’t need and to instead tailor the gift to their values. Low waste alternative: Donate to a cause they love directly in their name and skip a card. 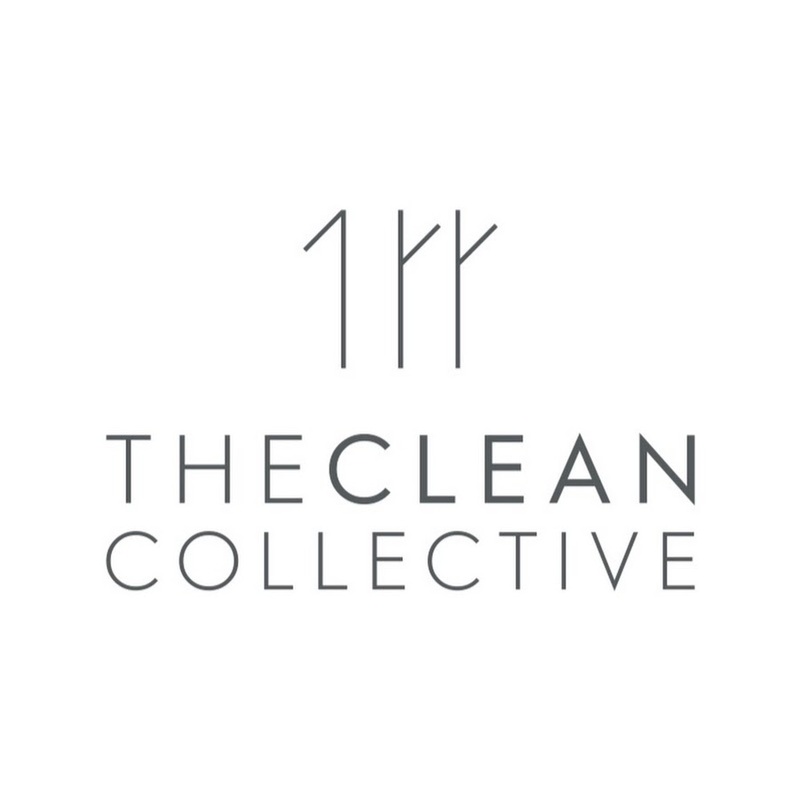 The Clean Collective is an amazing online store for low waste, toxin-free supplies in Australia. I really back this small woman-run biz. What I love about them is the option of zero waste kits which make perfect gifts at a discounted rate rather than buying each item individually. That’s the minimalist dream, with a variety of options for different people in your life. I think this gold set of a steel bottle and steel straw would make a beautiful gift. Budget alternative: Try thrifting your own low waste kit with jars, cloth napkins and other treasures from a secondhand store. I love Coconut Bowls, made from the leftover shells from the coconut industry in Indonesia and Vietnam. They rescue these shells, polish them down, coat them in coconut oil, and the end result is a low waste, vegan option that increases the income of farmers in low-income areas. They’re sustainable, they look great, and they’d fit into any home as a practical item that can be used daily. I got my set with the matching coconut spoons from Biome. Low waste or budget alternative: Cute matching or mismatched dining sets from a thrift store is the most beautiful, thoughtful gift as well. Handmade, low waste, vegan beauty products and cosmetics that work make amazing gifts. If you’re interested in perfume, face masks, lipstick or other gifts for people that like to be pampered, you can try this small woman-run Aussie biz that I get most of my products from. Everything is packaged in recyclable materials with a mail-back recycling scheme for the empties, and it’s a great minimalist gift if you choose something they’d buy for themselves. If you don’t find what you want here, try checking Elate Cosmetics, too. Budget alternative: Explore making your own beauty products at home. I’m not a big “essential oil person”, but I do think essential oil diffusers make lovely minimalist gifts for the person “that has everything”, because I genuinely think they add value into your life without being unnecessary junk or clutter. A diffuser with a starter set of vegan essential oils makes a thoughtful, well-rounded gift. I gifted this to my boyfriend who isn’t an “essential oil person” at all, but can’t deny that a lavender scent is pretty lovely when you’re falling asleep at night. Budget alternative: Make your own essential oil diffuser or purchase any vegan, non-paraffin scented candles. My favourite bedding brand is ettitude because their sheets and doona sets are made from 100% bamboo lyocell which is absolutely one of the most amazing things I’ve ever felt in my life. The reviews are absolutely raving, and I can attest they’re pretty honest, because we have this brand at home! This bamboo fabric is the vegan alternative to silk sheets. This is just such a luxurious gift with beautiful neutral and classy shades, and the fabric makes it ideal for people in both hot and cold climates. They’re very eco-friendly, vegan-friendly and minimalist because they’re such a practical, usable gift. Green Banana Paper is a fair trade and vegan certified brand in Kosrae, FSM (yes, my neighbours!). They take the waste of banana trees and hand make it into wallets or paper products. 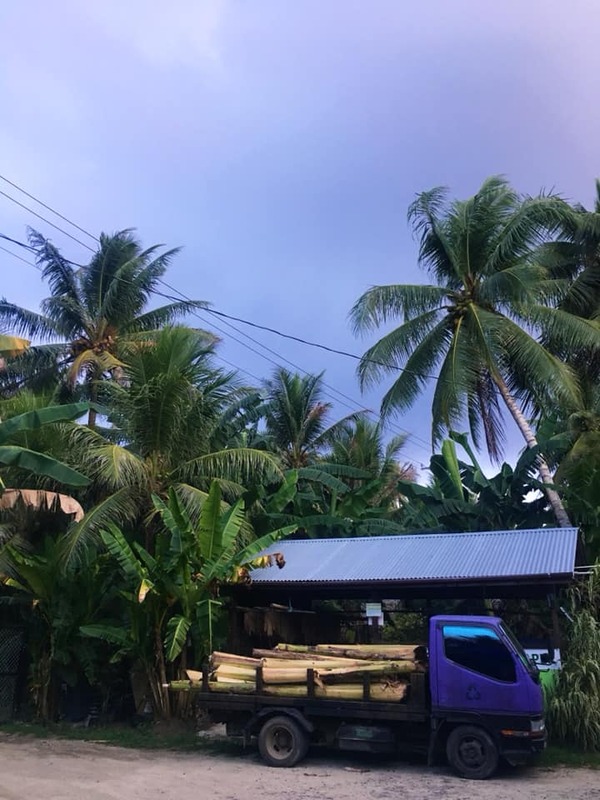 In October I had the privilege of staying at the Green Banana factory (pictured), watching the manufacturing, observing the management at work and helping out with their policies, so I can say I witnessed full transparency and that this brand is damn ethical and committed to quality. A personal promise to me from you. I own five Green Banana Paper pieces, and they make fantastic minimalist gifts for anybody eco-minded. Most of us are totally disconnected from the ingredients we use in our food, and I think a gift that restores that connection and gives us a moment to slow down and reflect on what we consume is an incredibly thoughtful gift. At-home seed kits are a perfect start for non-gardeners, and they take minimal effort from the gift-giver, too. They can be grown in your kitchen with everything you need in the one package. These gifts are minimalist because they’re practical and edible, and they’re a great value purchase when the gift is renewable. Budget alternative: Sprout your own seedlings from the Bunnings seed section in an egg carton, toilet paper rolls, paper cups, etc. A compostable phone case is finally here, made from flax and a plantbased bioploymer. I’ve been tracking this brand for such a long time. This is such a great gift for a minimalist because everybody needs a phone case. And by gifting them a Pela case, you’re creating almost no trash at all. It comes unpackaged and can be returned to the Earth once it’s lived it’s life. Plus, Pela partner with various organisations to contribute 5% of case sales to several worthy causes. And, they have a screen protection promise where they’ll replace any screen cracked while it has it’s Pela on! Quality, integrity, transparency. When buying for kids, the most sustainable and safe toys are wooden toys when they’re made from sustainably harvested trees and non-toxic lacquer. Minimalist, wooden, battery-free toys are ideal for children’s development and save valuable resources. Places to buy are Biome, Oxfam and Bendy Beanstalk. Pictured is the exact toy I purchased my nephew from Biome this year. Low waste or budget alternative: Good thrift stores may have non-toxic wooden toys for kids of a variety of ages already. I love gifting and receiving experiences, but I also appreciate a thoughtful, intentional and practical gift I can genuinely use and cherish. I hope that maybe something on this list will have the same impact on one of your friends or family members this year. Gifting anything from my list? Leave a comment and let me know!